Confession: I've never really liked the colour orange. Where makeup is concerned, I didn't expect it to bring out the best in my fair, pink-toned complexion. After falling head-over-heels for the beautiful finish of Joe Fresh's cream blushes, I started to warm up to the idea of coral-y orange in my makeup routine. 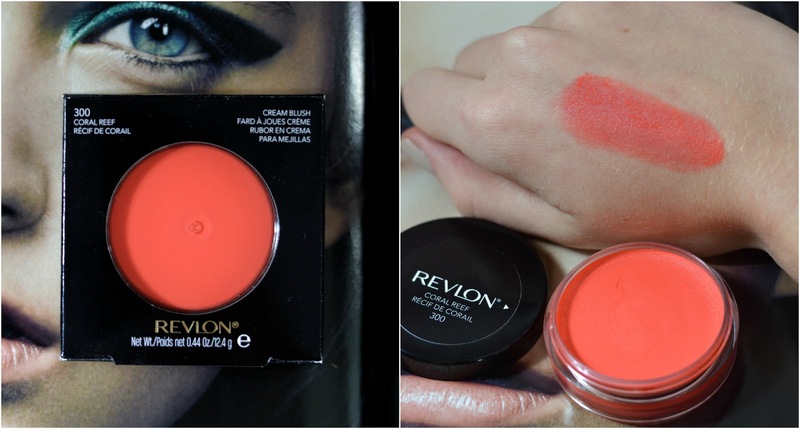 I've seen the Revlon Cream Blushes in store for a while now, but I've always steered clear due to their relatively high price point, and thoughts that they'd be the same sticky consistency as Bobbi Brown's Pot Rouge. Boy was I ever wrong! Despite having similar packaging, (Bobbi Brown has now changed their classic twist-top pot to a compact) these two products are very different. Revlon's Cream Blush is silky. It has incredible pigmentation, and blend flawlessly onto skin with a finish that isn't powdery, sticky or shiny. This is an ideal consistency for those with dryness on the cheeks. Now I don't use my fingers to apply blush, instead I use a densely packed synthetic face brush, similar to the Real Techniques buffing brush or expert face brush, to lightly stipple the colour onto my cheeks. This is also a great drugstore dupe for Benefit's Majorette blush - see swatches here. Watch the video below to see how I apply this new favourite!